Arya Babbarn , son of Raj Babbar, has been added to the cast of Mani Ratnam’s Guru to play the role of Aish brother and Abhishek best friend in the movie. He is currently shooting for the movie in Karnataka with Abhishek Bachchan . The other male leads include Abhishek Bachchan and Madhavan and leading lady by Aishwarya Rai . Arya has already finished shooting for Hollywood film called The Partition in which he has a negative role opposite Hollywood stars Neve Campbell and Jimi Mistry. The Indian Idol 2 Finals. The 2 finalists went head to head till the end. This episode included the return of all the Indian Idol contents and they all performed a couple of songs for the audience. After a long wait the winner was announced. 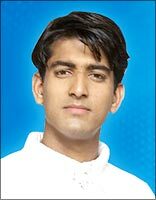 Sandeep Acharya was crowed Indian Idol 2 by the public beating out the heavliy favoured NC Karunya. NC Karunya went through the whole contest with the best complements and was heavliy to win, but it was Sandeep Acharya that got the most votes and won the title of Indian Idol 2. Abhijeet Sawant also made an apperaence and sang a song and then later presented the Indian Idol crown to the winner, Sandeep Acharya. We feel that Karunya should have been given he has better signing talnet, but this just goes to show you how many people you know and how many votes they give. Everyone could have been feeling that Karunya was getting so many good comments from the judeges that no one vote for Sandeep and hence could have giving him votes? Let's hope this was not the case. Bollywood beauty Aishwarya Rai got some minor bruises on her hand while shooting for Mani Ratnam’s Guru in Bagalkot, North Karnataka with Abhishek Bachchan . It was reported that she fell of a bicycle while shooting the scene and was rushed to a local hospital for treatment and released with her right hand bandaged an hour later with direction to rest of a day. The film is set against the backdrop of the first war of Indian independence (1857), with a song and dance sequence and wedding scenes at cave temples Badami and Halakatti bungalow. Mani Ratnam’s Guru is currently shooting in Bagalkot, North Karnataka with its main stars Aishwarya Rai and Abhishek Bachchan . Bagalkot, North Karnataka is known for historical sites like Badami, Aihole and Pattadakal which were visited by the two stars. Aishwarya was seen wearing a sari on her visit to the historical monuments. The movie also stars Mallika Sherawat who was not present in Bagalkot. Mallika Sherawat has been signed by Pepsi to endorse the soft drink brand Seven Up. The Bollywood bombshell's photographs, wearing a hot green and gold number, has been all over and in the commercial she is holding a magic lamp since the ad theme is Arabian Nights. Also is the news is that Kajol has been signed by Asmi to endorse their line of jewelery. In the past Kajol has endorsed for companys like Tata Indicom, Whirlpool and Digestive Marie, with her husband, Ajay Devgan . The new Asmi jewelery commercial was directed by director Siddharth Anand who became famous for his direction in Salaam Namaste . Kajol has been keeping quite after the birth of her daughter, Nysa, and after three years is making a comeback with Yashraj Film’s Fanaah opposite Aamir Khan , in which she plays a role of a blind girl. Aishwarya Rai seems to have agreed to work with Hollywood actor Will Smith for an upcoming movie later this year. Will Smith visited in India in February where he met a lot of Bollywood actors, and met Aish for about an hour and hit it off well. Aishwarya Rai also sent a sari as a gift for Will Smith's wife Jada Pinkett. Previously Ash was to star opposite Will Smith last year in the comedy Hitch but things did not work out. The new Vishal Bharadwaj direction of the Shakespeare masterpiece Othello , is considering a new name, Issak vs the current title of Omkara. The film, staring Ajay Devgan , Saif Ali Khan , Vivek Oberoi , was also announced to be premiered at the Cannes Film Festival in May this year even thou the film is not even complete. The current plans are to release the film in August following the release of Karan Johar's Kabhi Alvida Naa Kehna (KANK) . Priyanka Chopra as been approached to play the role of a devdasi by director Kalpana Lazmi to star in her next venture following the release for Chingari and Sinhasan. The role of devdasi is a traditional South Indian woman who claims to get married to God, and thus calls herself a sadasuhagan. She can marry any person of her choice even if it's illegal in law. Salman Khan is out on bail after spending 3 days in a jail in Jodhpur and is currently waiting for his travel permit and hence the organizer have postponed the Rockstar Concert 2006 from starting in Calgary on April 21 to start the third week of May and go on till June. The Rockstar Concert 2006 includes such others stars like John Abraham , Shahid Kapoor , Zayed Khan , Kareena Kapoor , Mallika Sherawat , and Esha Deol . 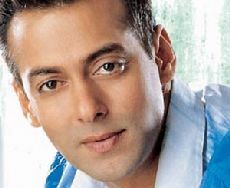 In connection with the 1998 black buck killing case, Salman Khan sentenced to five years imprisonment and a fine of Rs 25000 by the local court. Salman has been taken into custody and will be sent to the Central Jail in Jodhpur. 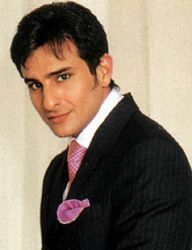 Others involved in the case have been acquitted, Saif Ali Khan , Neelam , Tabu and Sonali Bendre . The sideeffect of Salman's legal trouble could tie up more then Rupees 75 Crore for the Bollywood film industry since Salman is currently shooting for the following movies: Babul , Janeman (Jaaneman) , Salaam-e-Ishq , and Marigold An Adventure in India , which is an international venture. Kajol is scheduled to be the guest judge on the finaly of Indian Idol 2 to air on April 18, 2006. The whole nation seems to be waiting to see who the next Indian Idol will be, Karunya or Sandeep? The have traveled around the country promoting them for the last couple of weeks and have met a lot of celebraties during there stay on Indian Idol. In the past such Bollywood stars like Priyanka Chopra , Kareena Kapoor , Will Smith, Fardeen Khan, Vivek Oberoi and Shahid Kapoor have appearanced as judges. Karan Johar and Preity Zinta will attend the Cannes Film Festival this year as representative for Bollywood. Last year actresses Aishwarya Rai and Mallika Sherawat were at the Cannes Film Festival. Preity Zinta is currently busy shooting her movies and is expected to be soon seen in Janeman (Jaaneman) , Krrish (Krish) Krrish and then in Jhoom Baraabar Jhoom with Abhishek Bachchan . Preity is also schedule to do a world tour, called The Heat next month across UK and US. Her cloths for the tour will be designed by Designer Manish Malhotra for whom she recently walked the ramp at the Lakme Fashion Week. Karan is currently busy putting the finishing touch on this most awaited movie of the year, Kabhi Alvida Naa Kehna (KANK) . All stars had turned out for Surily Goel's first fashion show. Salman Khan was on the ramp with a glares and a jacket. The show was filled with a wide varitey of dress, and tops which included a flowing silhouettes and a striking yellow bikini sported by the leggy Nina Manuel. Neelam Kothari and Malaika Arora also made an apperance on the stage while Preity Zinta with beau Ness Wadia, Karan Johar, Akshay Kumar and Twinkle where spotted in the audience. Kabhi Alvida Na Kehna By Karan or Biswaroop? Karan Johar's most awaited film of 2006, Kabhi Alvida Naa Kehna (KANK) , may have to be renamed. Biswaroop Roy Chowdhury's Mind I Films has registered the name , Kabhi Alvida Naa Kehna (KANK) , with the Trade Marks Department under the Union Ministry of Commerce and Industry in May 2005. 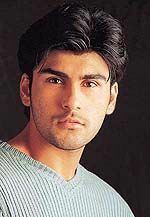 Suniel Shetty was the guest star on the 1st round for the final two. Both Sandeep and Karunya performed were well. Lets see what happens next week. The crowd and most of the judges are banking on Karunya, but hope Sandeep can pull of the biggest upset. Anuj was voted off to leave just Sandeep Acharya and Karunya in the final two. Shekhar Ravjiani is scheduled to be the guest judge on the next epsiode of Sony TV show Indian Idol 2 to air Monday April 3, 2006. Anuj replaced Jolly and made his apperanece in the Gala rounds, he was very nervous and Anu Malik was very disappointed with his performance. All the Contestants sang really well and will have to wait until tomorrow to see whom the country votes to send home. Panna Gill sang Shammi Kapoor’s ‘Aja aja mein hoon pyar tera’ and Amey Date sang the Manna De classic, ‘Laga chunari mein’ daag’. Sonu Nigam’s younger sister Neekita Nigam signs for a Bollywood movie. Neekita Nigam will be making Bollywood singing debut with Indra Kumar’s Pyare Mohan . She will be singing along side Sunidhi Chauhan and music provided by Anu Malik. Raveena Tandon added to the cast of Happy New Year . The movie is directed by Farah Khan and also stars in the leading roles Shahrukh Khan and Prakash Padukone's daughter, Deepika Padukone. We have recently added a page with links to Torrents for Bollywood Movie and MP3 Songs downloads. Riya Sen has been signed by Coca-Cola India to endorse Limca under the new campaign titled Limca Fresh Ho Jao. She will be seen in TV commercial during the India-England one day cricket series. In the past Riya has endorsed Cadburys Dairy Milk chocolate. It was recently rumored that Harry Baweja had approached Aishwarya Rai to play opposite his son Harman, but now it seems that Priyanka Chopra , a good friend of Harman's has agreed to adjust her dates and work in Love Story 2050 . Currently Priyanka Chopra is busy shooting Farhaan Akhtar's Don in Malaysia. Love Story 2050 Love Story 2050 is a futuristic science fiction film and Priyanka Chopra explained that the script and her role that has two different dimensions made her opt to act in the film. Upon her return to Mumbai from her perform at the Commonwealth Games in Melbourne, Aishwarya Rai has been diagnosed with laryngitis. Her with her busy schedule will now have to taken some rest and postpone the shoot of J.P. Dutta ’s Umrao Jaan in Lucknow. She had been in Rio de Janeiro with Abhishek Bachchan and Hrithik Roshan shotting for Dhoom 2 , she plays a negative role in the movie, and then had flew to Melbourne, Australia to perform at Commonwealth Games. Will Aishwarya Rai be part of 2050, Love Story 2050 ? Director Harry Baweja, whos recent release Teesri Aankh failed at the box office is all ready to launch his son Harman. 2050, is a sci-fi movie in which Kareena Kapoor has already declined to star. Now the word is that Harry is trying to sign Aishwarya Rai in the movie to play opposite his son Harman. Now we will have to wait and see if the news is real or not and see who Harry ends up signing. Saif Ali Khan is recovering from an appendicitis surgery which he underwent on Thursday at Gleneagles Hospital in Kuala Lumpur, Malaysia. Saif came to Malaysia with his Italian girlfriend Rosa. He had returned from Melbourne, where he performed Bhangra at the Commonwealth Games with Rani Mukherjee , compling about an acute stomach pain which was later diagnosed as appendicitis. The actor who has just finished shooting for Vishal Bhardwaj's Othello and his scheduled to next shot in June for Siddharth Anand. 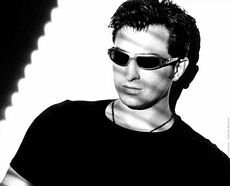 Saif is also schedule for a world concert this summer which may now need to be cancelled. Rakesh Roshan's forthcoming release Krrish (Krish) , a follow on to Koi Mil Gaya, to get the censor scissors due to the usual objections raised by the animal welfare board regarding the use of animals in the movie. Most of the movie was shot in Singapore and Uttaranchal Pradesh. The movie stars Hrithik Roshan and Priyanka Chopra , and marks a big stake for Hrithik's return to the top. Hyderabad girl Mona Chopra whos movie, Naughty Boy, recently got released also is seeing in a MMS clip being circulated. The big question would be is this a publicity stunts? Mona is currently slated to star in abc and game and some day she would like to work with Hollywood movie star Sharon Stone . Hrithik Roshan is the proud papa of a baby boy, named Rayhaan. His wife Suzanne Khan gave birth to a baby boy at Nanavati Hospital in Mumbai at around 3:30 pm On Tuesday 3/28/2006. And the census is that the baby boy look like his mother, Suzanne. Hrithik recently returned from the shooting of Dhoom 2 with Aishwarya Rai from Rio De Janeiro. His forthcoming release is Krrish (Krish) , a sequel to his last hit Koi Mil Gaya which was directed by his dad Rakesh Roshan. At a recent event in Mumbai, Karan Johar announced that his next release Kabhi Alvida Naa Kehna (KANK) will be in August this year. The film stars some of the biggest Bollywood actors like Amitabh Bachchan , Shahrukh Khan , Abhishek Bachchan , Arjun Rampal , Rani Mukherjee and Preity Zinta . Kabhi Alvida Naa Kehna (KANK) is a much awaited this year and it would be first release for Karan after his Kabhi Khushi Kabhie Gham in 2001. The movie has been extensively shot in New York and its suburbs. The Bengali beauty Tanushree Dutta Tanushree Dutta is all set to perform another item number in her upcoming movie Bhagam Bhaag . This is to follow up on item number in Subhash Ghai’s 36 China Town . Rani Mukherjee celebrated her 28th birthday on March 21. She is currently on top of Bollywood with her excellent performance Black opposite Amitabh Bachchan . Rani's just finished shooting for Karan Johar's Kabhi Alvida Naa Kehna in New York. Rani will also be performing a semi-classical dance number at the grand finale of Commonwealth Festival held in Australia. She is trained in Odissi dance and will dance to her film music. Upon her return she will begin to shot Ravi Chopra Babul . Miss World 1994 Aishwarya Rai will also be performaing at the 15-minute handover at the Commonwealth Games closing ceremony with over 800 dancers. The green-eyed Bollywood star will will be joined by popular actor Rani Mukherjee and Saif Ali Khan when the baton is passed to New Delhi for the 2010 Games. Sunidhi Chauhan will be performing one song. International companies are signing Bollywood Stars to market their products to the Indian Market. Recently it was announced that Aishwarya Rai Aishwarya Rai would be in a new Coca-Cola campaign called Thande Ka Tadka which target the younger generation. Other brand ambassadors are Abhishek Bachchan for Ford Motors to introduce Ford Fiesta, Amitabh Bachchan was seeing driving Versa and has already endored ICICI, which now has Shahrukh Khan to endorse NRI banking. 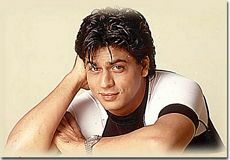 Shahrukh Khan has been seeing in Hyundai's Santro and Getz and is also endorsing Himani talcum powder and Hewlett Packard’s Compaq Presario notebooks and desktops. Saif Ali Khan and Rani Mukherjee has also been signed by Chevrolet which is launchomg a new car called Aveo. Aamir Khan was endorsing Innova. John Abraham will be seen riding Yamaha or sipping diet cola while endorsing Samsung Mobiles, Fast Track Titan Eyegear and Yamaha Bikes. And has teamed up with Bipasha Basu to sell anti-dandruff shampoo. Even stars children are getting endorsements, like Hema Malini’s daughter Ahana endorsing Kent water purifier. Not to be left behind Udita Goswami is selling plywood and Katrina Kaif. selling diamonds. Hema Malini is endorsing Bank of Rajasthan. Juhi Chawla endorsing Dena Bank. Cricketer Rahul Dravid is the brand ambassador for Bank of Baroda and Max New York Life. Cricketer M S Dhoni is endorsing the Anil Ambani-controlled Reliance ADA Group, also endorsing Pepsi, Reebok, TVS Motors, Orient Fans, Mysore Soaps, British Petroleum and Videocon. Tennis star Sania Mirza endorsing Sprite and Hyundai and also GVK Industries, Sahara, Atlas Cycles, Tata Tea and Sports Authority of Andhra Pradesh.